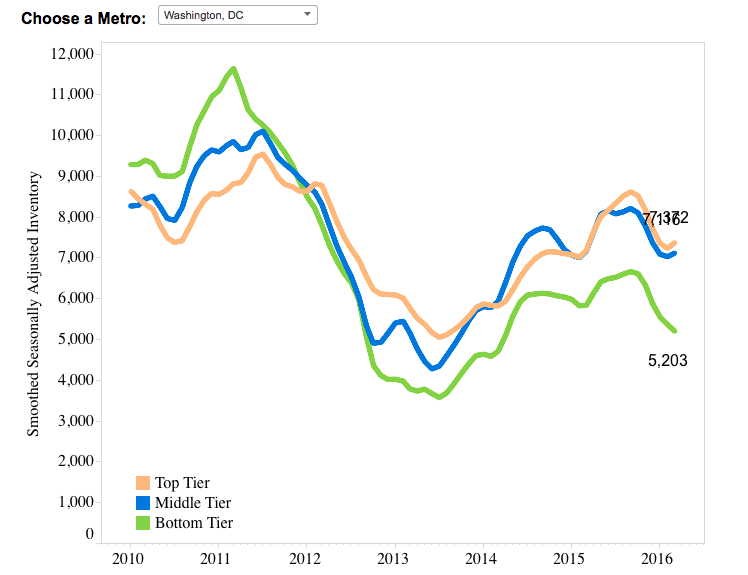 Washington D.C. saw its largest inventory change in the bottom-tier sector during the first quarter of 2016, which decreased by 10.8 percent. 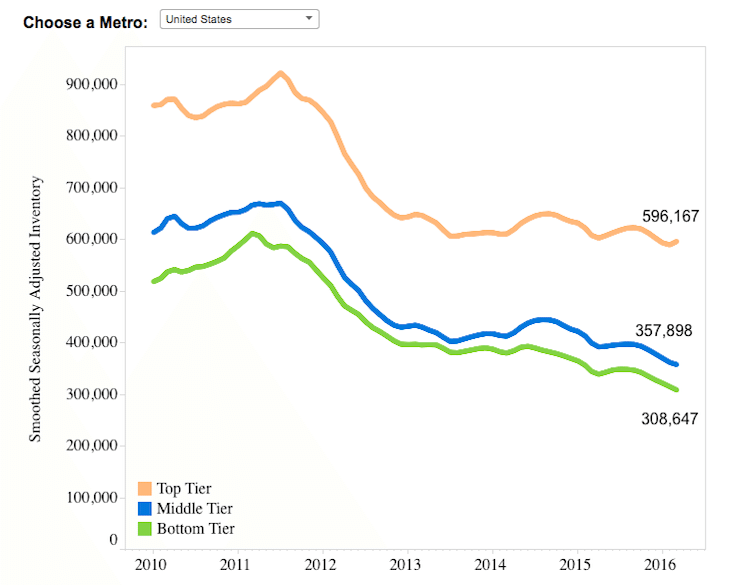 The metro’s middle-tier sector decreased, too, by 0.7 percent, but the top-tier home inventory saw slight a increase at 2.7 percent. At $364,100, Washington D.C.’s average ZHVI in the first quarter almost doubles the national average. 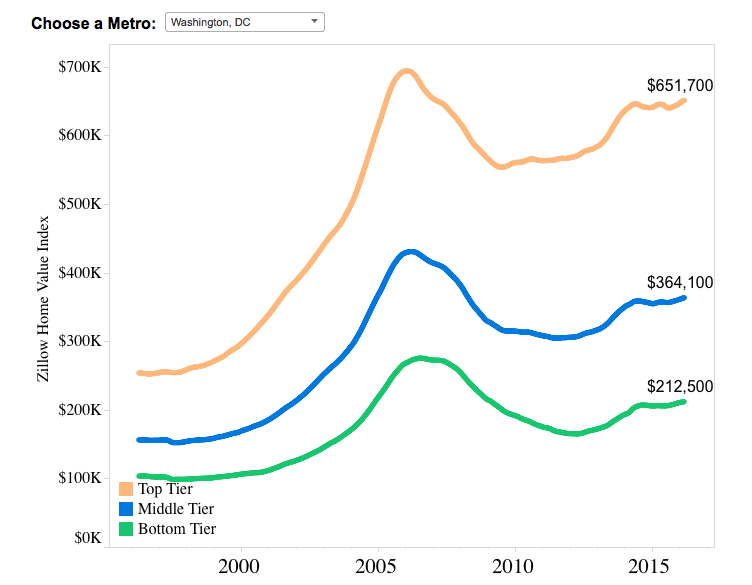 All tiers of home values in the metro area also saw increases in the first quarter, with bottom, middle and top-tier homes increasing at rates of 2.8 percent, 2 percent and 1 percent, respectively. Inman Connect On the Road is coming to Washington, D.C.